Great people, great vibe, great music! 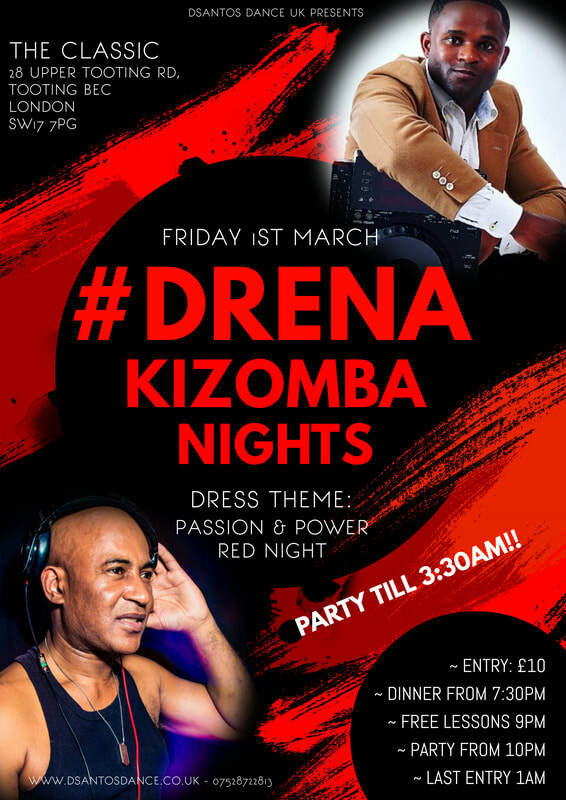 Drena Kizomba Nights has quickly become one of the must haves on every Kizomba dancers calendar in London and afar! This event is all about ENERGY, ADRENALINE, GOOD VIBES, GOOD MUSIC and GREAT PEOPLE! Join us and come feel it for yourself - You will not be disappointed!